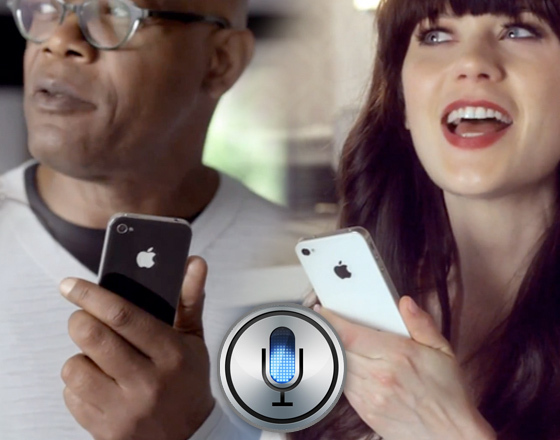 Actor Samuel L. Jackson along with actress/musician Zooey Deschanel lent their acting talents in the latest set of Apple commercials highlighting Siri. The upcoming Avengers star is seen in his commercial using Siri to help prepare for his “Date Night.” Deschanel consults Siri about the weather, restaurants that deliver, and requests music to be played. Both commercials highlight some pretty important functions that Siri can handle. Personally I don’t consult Siri that much, but I know there are people out there who can’t go five minutes without calling her up. Below are the commercial starring Jackson and Deschanel.